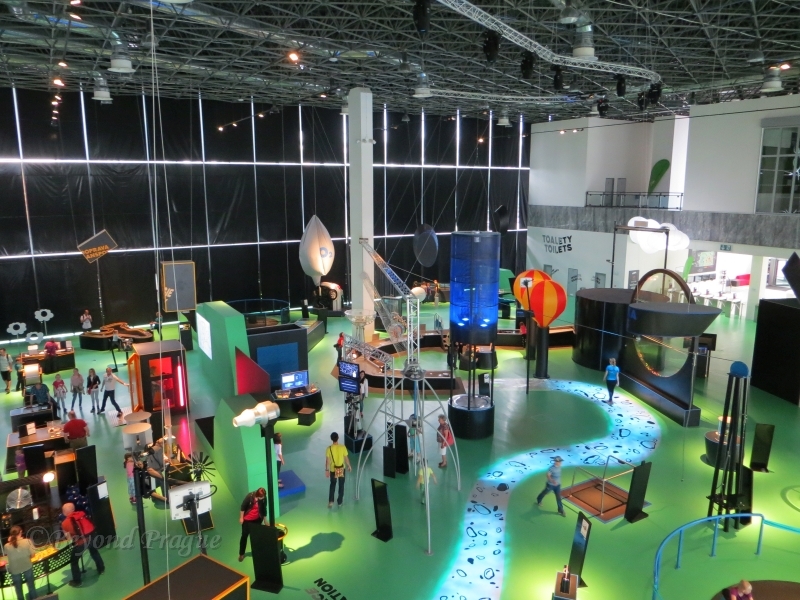 A view into the Earth and Civilization sections of the science centre. Please, Do Touch the Displays! The Moravian Science Centre Brno, more popularly going by the name VIDA!, is a very modern facility which was opened in late 2014 in the area of Brno’s exhibition grounds. 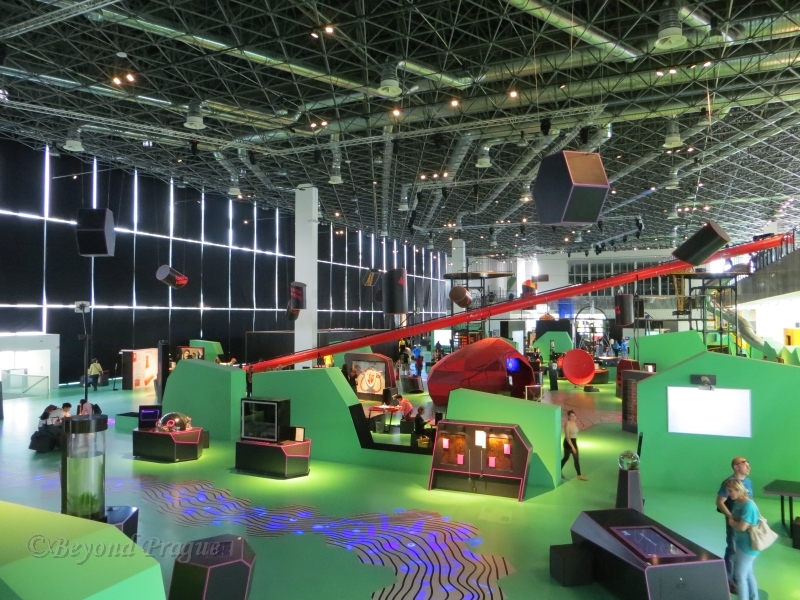 In the spirit of contemporary philosophies of science centres, it is an extremely interactive exhibition designed to appeal and be accessible to a wide variety of people. VIDA! is a large, roughly 5000 square metre, open plan exhibition consisting of around 150 individual and interactive stations highlighting a scientific aspect from one of four themes: Earth, Civilization, The Body or Microworlds. 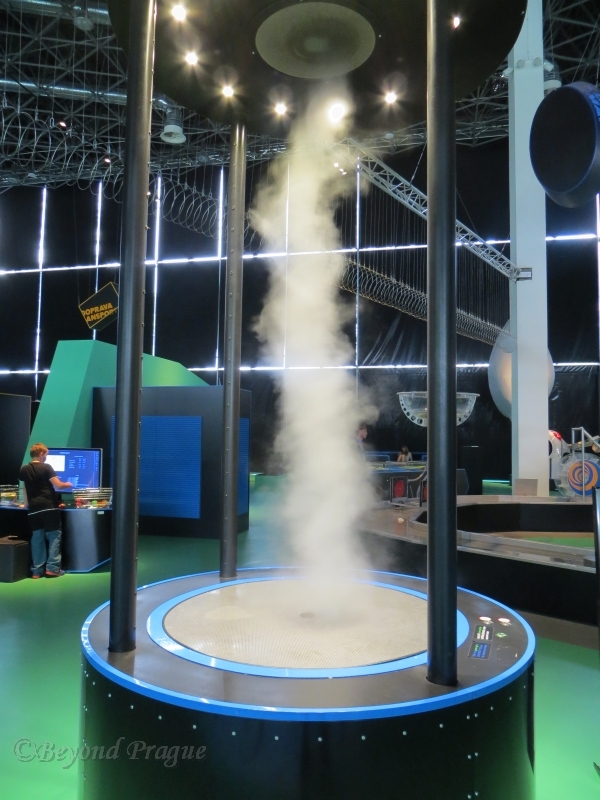 Building a tornado in the Earth section of the exhibition. The Earth section features several exhibits demonstrating hydrodynamics, atmospheric and geophysical phenomena among others. You can experience a simulated earthquake, create a tornado, simulate a tsunami, predict a geyser and partake in many other earth science related demonstrations here at the push of a button or turn of a crank. From Earth, we move on to the Civilization gallery and a set of exhibits where you can experience how humanity has shaped the world and learned to harness its energy in the time we’ve been here. Exhibits here include a small wind tunnel with a set of shapes you can place in the air flow and see first hand why aircraft wings are shaped as they are and why other shapes wouldn’t work. You can also see humanity’s changing philosophies about designing the ideal city over the centuries as well as see the inner workings of a car engine in action. Get you own heart pumping when you pump “blood” through this model. Going from what we do to the world outside of us, we move on to what happens to the world that is within us. This section contains activities to test your senses, cognitive abilities as well as give you insight into your body’s various systems. 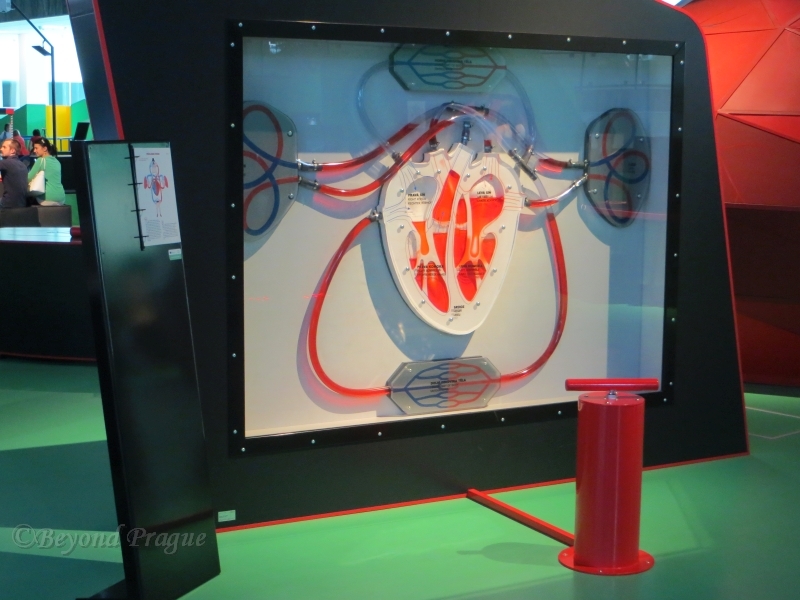 You can test your mental agility against a range of puzzles, pump “blood” through a large model of a heart, explore anatomical models, test your reaction time and reflexes as well as experiment with your body’s own natural electrical current. 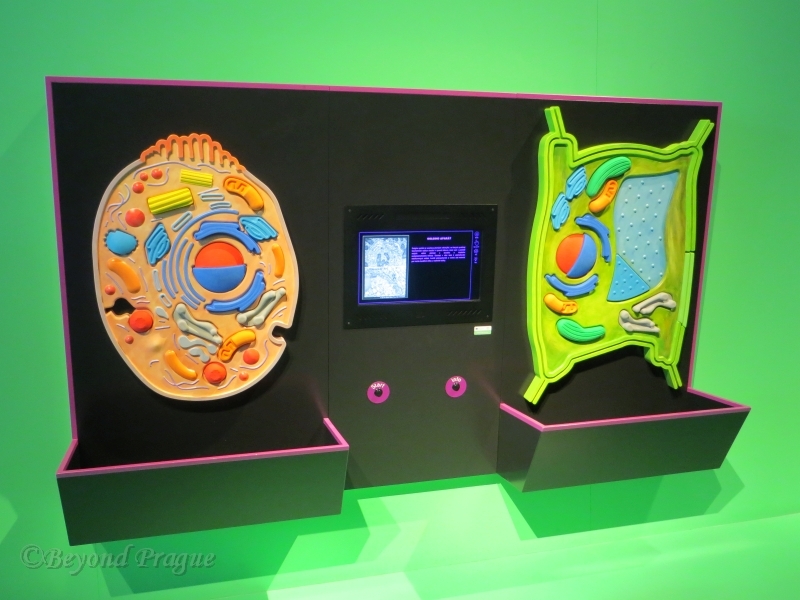 Models of animal and plant cells in the Microworld section. Smaller than the eye can see, the final section of the centre’s main display deals with the microscopic world. Exhibits include electrical currents and magnetism as well as cellular structures to name a few. Visitors can experiment with electrical flow through materials of various conductivity, observe the work of microbes in soil and sealed biospheres, look at a variety of specimens under a projector equipped microscope and assemble a model of a cell while the computer tells you what each part is and what it does as you put it in place. Looking across the main gallery with the Microworlds section in the foreground. Beyond the main hall of the centre, there is also a science theatre where scheduled demonstrations take place and a special children’s section aimed at young visitors between 2 and 6 years old where they can explore very simple concepts in a fully hands on way. It should be noted that children under ten years old must be accompanied by an adult at all times. While there is no proper cafeteria in the centre, there is a relaxation area with food and drink vending machines as well as a small barista cart for fresh coffee. The centre also has a gift shop. Though it didn’t seem well stocked at the time I visited and some of the items on display were broken, one must keep in mind that this is a very new facility at the time of writing and some aspects will invariably take more time to get right than others. While VIDA! is not directly in the centre of Brno, it’s easily accessed by public transport and a short bit of walking. It’s open Monday to Sunday from 10:00 t0 18:00 with the last ticket sales at 16:30. While the 190 Koruny admission fee for adults is a bit high compared to other attractions you could visit around Brno, you really are getting your money’s worth here and you’ll easily spend at least two hours here before you know it. I enjoyed my first visit very much and will certainly be making return visits.